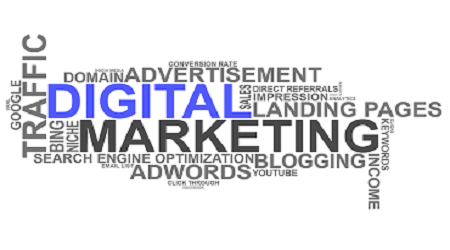 Digital marketing is the promotion of products or brands via electronic media. By using digital marketing channels and methods, you can analyse your marketing campaigns to understand what is working and what is not typically in real time. While the Internet is the channel most closely associated with digital marketing, other channels are important too. Consumers can access information wherever, whenever and however they want it and they are no longer influenced by just what you say about your brand. In fact, consumers are more likely to be influenced by what others say about your brand. The reality is that people prefer brands that they can trust, companies that know them, communications that are personalized and relevant, and offers that are tailored to their anticipated needs and preferences. Digital marketing can help you deliver all that are needed to achieve your company’s goal, but there are three main challenges to overcome. Consumers use multiple channels and a variety of digital devices with different protocols, specifications and interfaces. This makes it hard to manage digital marketing efforts. Competition is intensifying. That is, because digital channels are relatively cost-effective as compared with traditional media, such as print, making them within reach of practically every business. When consumers use digital channels, they leave behind a huge trail of data. Unfortunately, this digital data is often not integrated with data from operations and business activities. As a result, many businesses struggle to find the right data for making the best strategic and tactical decisions. Given these challenges, what does it take to get digital marketing rise. Both digital and traditional marketing responds in initiating dynamic customer interactions and this helps in extracting the value from big data to make better and faster decision. Knowing your customers is not enough, you must also know them better than anybody else. So, when you can communicate with your customer, you should always include the words like, “where, when and how” and these makes more receptive to your message. To do that successfully, you need a consolidated view of customer preferences and expectations across all channels and not just digital. With this information, you can create consistent, coordinated customer experiences that will move customers along in their buying cycle. The speed and immediacy of digital marketing combined with the power of advanced analytics makes it possible to measure, monitor and test campaign performance on- the-fly, to learn what works and what does not. This helps you improve the customer experience and marketing ROI. Too often, marketers can’t access or make use of all the data necessary to get the best insights. They are often limited to data subsets or samples, which compromises analytic accuracy. To make the best decisions, you need to access all the customer’s and marketing data to deliver more real-time, complete customer experiences and able to move quickly and easily and in a cost-efficient way. And these strategies will make your Digital Marketing campaign a successful.